Horse Haven of Tennessee has had an extremely tough year with many intakes and a couple tragedies they did not expect. Their hay budget for the year has already been exceeded by ten percent, so when they put out a call for help with hay, we jumped on the hay ride wagon. One square bale of hay costs $5, and one round bale costs $30. We thought we would help them buy five round bales, so we sent them a check for $150. Neigh! Neigh! Helping Paws helps hooves, too! 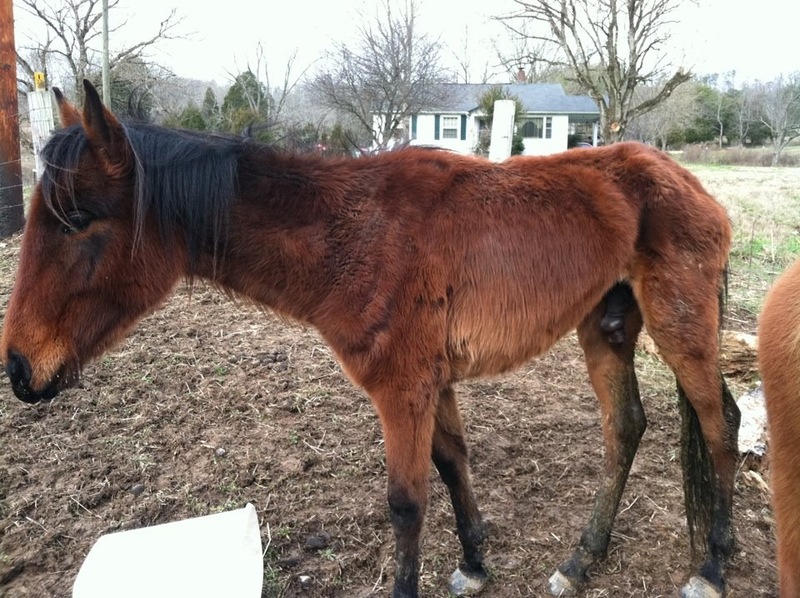 Horse Haven of Tennessee recently took in three starving horses from Macon County; one is pictured below. 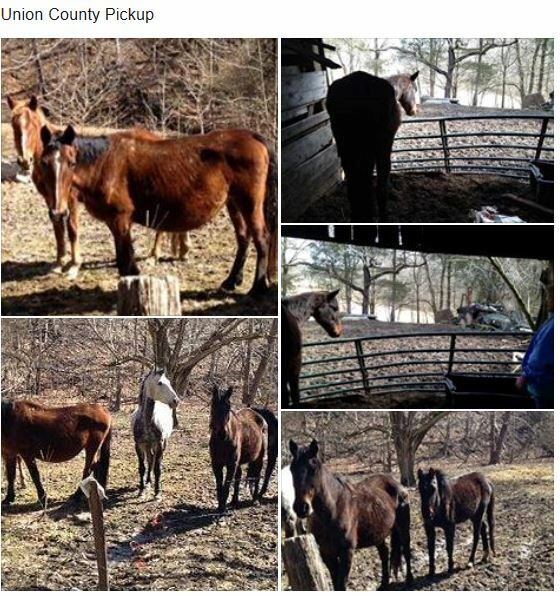 They will be spending some time with a vet before going to the horse farm for some much needed rehabilitation. Then, as if that wasn’t enough, the Haven was burglarized a couple days later. We thought they could use some help, so we sent them a $500 contribution to assist with vet costs for the poor horses. 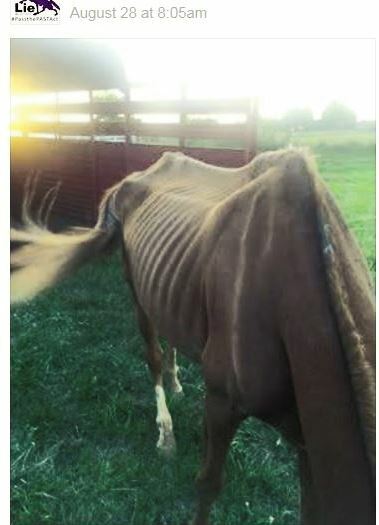 Horse Haven of Tennessee has been hit hard since March 8th when they took on seven neglected Union County, TN horses (eight if you count the one not born yet). Many of them were sick or had body sores and were taken to UT Veterinary School for treatment. Getting the horses back into good condition is going to be one long and expensive endeavor. As if things couldn’t get worse, a few days later they were forced to close and quarantine their horses when some came down with a respiratory sickness. We thought a $500 donation would help them a little.